For years, Uber drivers have complained that the app doesn’t prompt riders to tip them. It’s the first complaint drivers often voice about driving on the platform. Uber clarified its policy on tipping after being sued in California and Massachusetts, telling drivers and riders that tips were acceptable. But that’s changing today. Uber announced that it is rolling out a tipping option for drivers. “Tipping is available in Seattle, Minneapolis and Houston as of today. We’re starting with only 3 cities so we can create the best tipping experience for you and your riders. We’ll be adding more cities over the next few weeks, and will make tips available to all U.S. drivers, by the end of July 2017,” Uber said in an email to drivers. Uber will also roll out a full set of driver-friendly features. The cancellation window will narrow to two minutes (it was previously five) and drivers will get a per-minute fee if a rider makes them wait beyond two minutes. 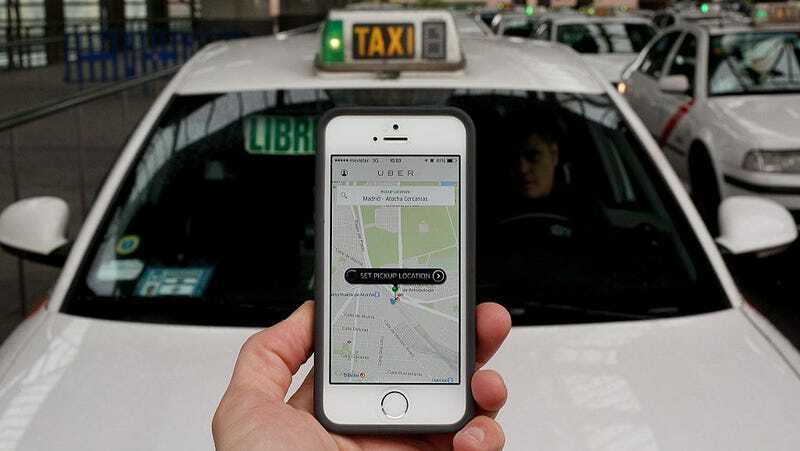 Drivers will also get a cut of Uber’s “teen fare” which had previously gone exclusively to Uber. Now, drivers will get $2 of the fee. Uber will also offer drivers the option to enroll in injury-protection insurance. Uber has always argued that it offers a seamless experience and that adding a tip feature into its app would interfere with that. The company promises an up-front fare to the rider, with no fumbling around for cash or evaluation of a driver’s performance beyond assigning a rating. “We felt it would be better for riders and drivers to know for sure what they would pay or earn on each trip — without the uncertainty of tipping,” Uber’s public policy team wrote in a 2016 blog post. The change comes amid mounting pressure over how Uber treats its employees and drivers. Uber’s company culture has been under scrutiny since allegations of widespread sexual harassment surfaced in February. CEO Travis Kalanick is in the midst of a leave of absence, and 20 employees have been fired following an investigation into harassment and discrimination at Uber. In a statement, Uber’s head of product Aaron Schildkrout and regional general manager Rachel Holt said the changes are part of a planned “180 days of change”—perhaps a reference to the 180-degree turn Uber needs to make. “Why now? Because it’s the right thing to do, it’s long overdue, and there’s no time like the present. This is just the beginning. We know there’s a long road ahead, but we won’t stop until we get there,” Schildkrout and Holt said. Do you have an Uber-related tip? Let us know.